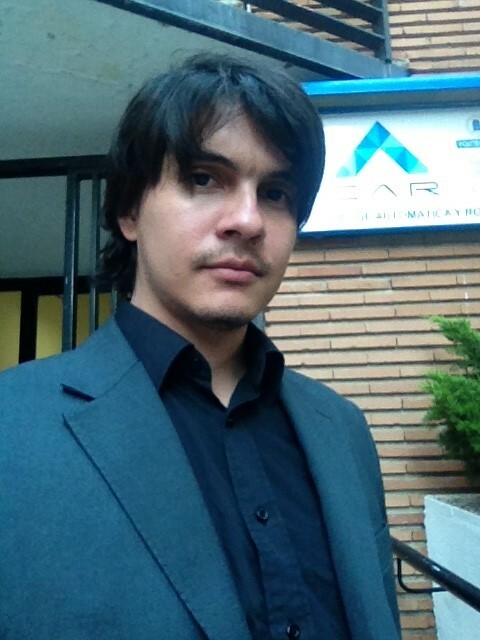 Biel Piero E. Alvarado Vásquez is PhD student in Automation and Robotics, M.Sc. Automation and Robotics at Universidad Politécnica de Madrid, and Computer Engineer at Universidad De Oriente in Venezuela. With a good knowledge in control engineering and deep knowledge in advanced programming, he has worked for 5 years as a control engineering supervisor at PDVSA, the main oil industry in Venezuela, also as a backend programmer at different companies in Spain as Flir Networked Systems during 2 years and Auxitec. Nowadays, he is working as a researcher in national projects as Robocity IV and COGDRIVE, focusing in robots navigation, human-robot interaction, intelligent control engineering, fuzzy control and deep learning.